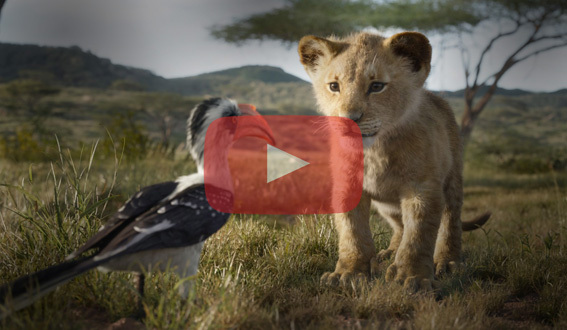 HE LION KING 2019 TRAILER IS OFFICIALLY OUT! 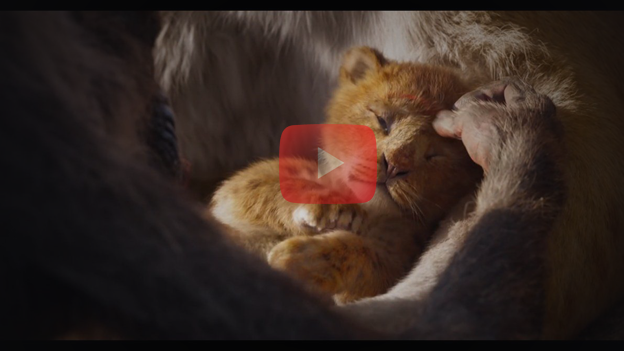 With only a hundred days to go until the movie is officially out, The Lion King 2019 trailer is finally upon us! as Scar, James Earl Jones as Mufasa, Seth Rogen as Pumbaa. ‘I Just Can’t Wait To Be King’ and ‘Circle of Life’. We just can’t wait until The Lion King premieres at the Eden Cinemas on the 19th of July. 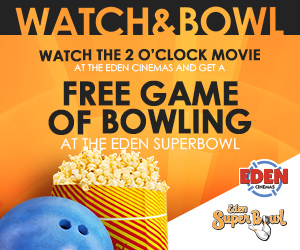 Take 2 Entertainment, will premiere at the Eden Cinemas on Saturday 13 April. political party after being turned down as a candidate for the political party he grew up supporting. actor who plays John Camilleri, Karist’s son, to get some inside info before the premiere. l-ajkla. That’s how we came up with this story. yet he gets nowhere, so he has to face defeat. These people genuinely believe that they stand a chance. And with Karist, we also learn the struggles of his son John, played by Davide Tucci in the movie. PART IN PLAYING THE ROLE? Davide: ‘John was an opportunity to explore parts of me as well. future that he never did, to show him support. so hard to build for himself. It truly was a very interesting character to play. Davide: ‘You’d be amazed if you knew the crazy amounts of subliminal messages in some of the scenes. CAN YOU GIVE US A LITTLE SNEAK PEEK BEFORE THE MOVIE? Davide Tucci tells us ‘everybody dies. He added: ‘Jokes aside, no one can live forever, and it’s actually part of the message of the film. Co-producer Carlos added: ‘Expect to see a lot of very well-known faces and capable actors. We got very lucky with the cast. ‘The music was composed entirely by Mirko Galea, we’re simply in love with the music score. and it’s just not the same. We’re also very happy with the direction of the movie. 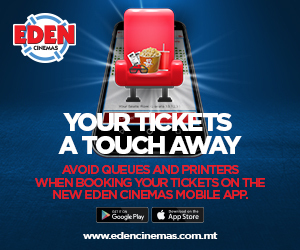 tickets for this highly anticipated movie from edencinemas.com.mt, or from the mobile app. Disney has never had trouble making money with the remakes of animated classics. It's the main reason that we're getting three of them this year. However, the level of success can still be quite variable. Beauty and the Beast make a billion dollars while Cinderella made only half a billion. 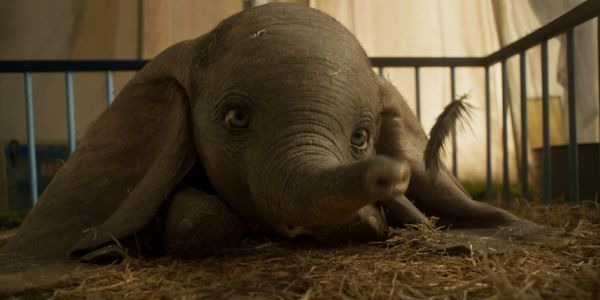 Dumbo may turn out to see numbers on the lower end of that spectrum, but it's still looking like it will have a pretty impressive global opening, as the film is currently tracking to bring in something around $140 million for it's opening weekend. For comparison, 2015's Cinderella saw a domestic opening weekend of $67 million and ended up grossing $543 million globally. 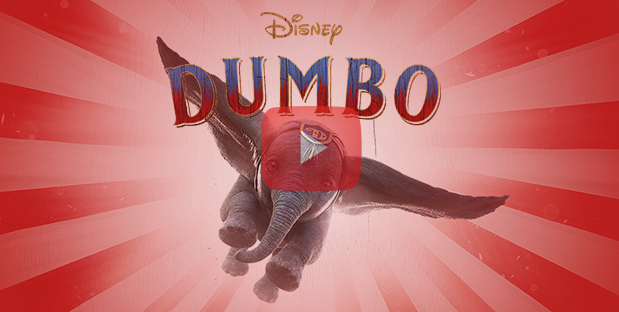 If Dumbo finds itself on the low end of projections, it could end up coming in beneath that number. Still, when your competition is a series of films that have largely made a half billion dollars or more, you can come up short by comparison and still be a massive hit in absolute numbers. Dumbo is the earliest of the Disney animated films to be given the remake treatment, which is something of a double-edged sword. On the one hand, it's had the longest time to become popular to multiple generations. At the same time, it may not resonate with fans in quite the same way as a more modern film simply because of its age. Of course, the last time Tim Burton directed a Disney remake it was a little film called Alice in Wonderland that made a billion dollars, so who knows? If lightning strikes twice we could see Dumbo become an absolutely massive hit. Regardless of Dumbo's numbers, it is sure to be a big year for Disney remakes. In just two months we'll see the live-action version of Aladdin, and two months after that we'll get the new version of The Lion King. Those two films are almost certainly destined to be box office successes. The latter film could find itself competing for the box office crown of the year if it does as well as the animated original. 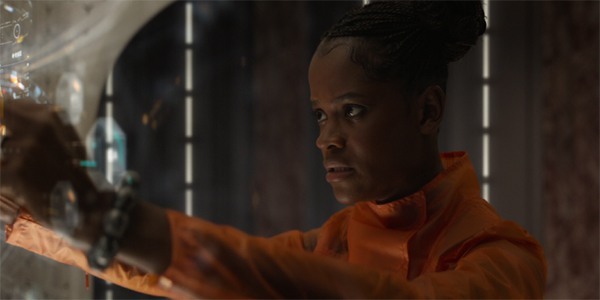 For months, the fate of Letitia Wright's Shuri in the Marvel Cinematic Universe was a mystery. Despite having a prominent role in Avengers: Infinity War, the blockbuster never showed audiences what happened to the character after Thanos snapped his fingers with the completed Infinity Gauntlet, so we were all left in the dark regarding how she fared during The Decimation. Admittedly the first trailer for Avengers: Endgame released in December 2018 did provide us with a solid lead - showing her on a monitor as being among the world's dead heroes - but now it looks like we have official confirmation courtesy of the new movie's character posters: Shuri got dusted. Earlier today Marvel Studios released a grand total of 32 new one-sheets for Avengers: Endgame, and during the rollout it wasn't hard to discover a pattern: all of the living characters are featured in color, and all of the dead ones are in black-and-white. There were a few exciting surprises mixed in, such as revelations regarding Tessa Thompson's Valkyrie, Benedict Wong's Wong, and Jon Favreau's Happy Hogan (all revealed to be alive), but the artwork also seems to confirm that Shuri was one of Thanos' many, many victims. 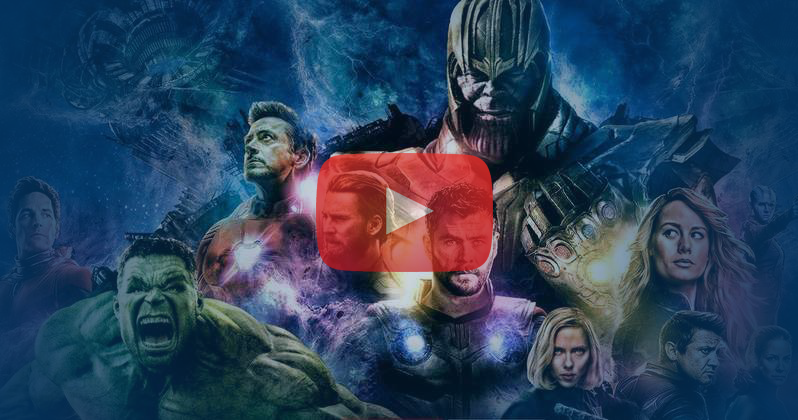 This isn't really a surprise for those who took the information provided in the first Avengers: Endgame trailer at face value, but it's understandable why some people questioned the preview's credulity. After all, Shuri's face was featured right next to a picture of Paul Rudd's Scott Lang on the aforementioned monitor, and the very end of that footage showed Scott very much alive and at the front door of the Avengers facility. Also, Joe and Anthony Russo have confirmed that marketing material has been doctored to protect certain elements of the movie, so who knows what we can really trust? All that being said, there actually was good reason to believe when the first trailer said that Shuri was counted among the Decimated. After all, her situation at the time of the Thanos snap was a lot different than Scott Lang's. None of the heroes specifically knew where Scott was when half of life in the universe was eliminated, so when he didn't turn up after the event it was just assumed that he was dusted (the reality actually being that he was trapped in the Quantum Realm). Shuri, on the other hand, was present in Wakanda with the Avengers battling against the Black Order and their Outriders, so the team knew exactly where she should have been... and clearly she wasn't there. This is obviously a bummer, as Shuri is one of the most exciting new characters featured in the Marvel Cinematic Universe, and audiences are hungry to see more of her in big screen adventures. I guess this just means that fans will be rooting that much harder that the heroes will somehow be able to reverse the events of Avengers: Infinity War and save the fallen. As of today we now just have less than one month to wait for the arrival of Avengers: Endgame, and excitement is near the point of boiling over. You can now buy your tickets online. We’re set for a huge year of films arriving in Malta’s cinemas. Disney is working on three live action remakes of classic animations as well as two bumper sequels such as Frozen 2 and Toy Story 4. Elsewhere, there are star-studded crime thrillers and plenty of superheroes to keep us all entertained over the next 12 months. 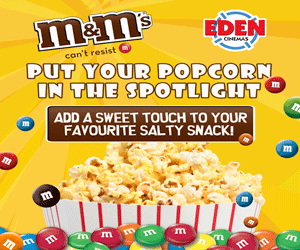 These are 10 of the biggest releases set in 2019 at the Eden Cinemas in St Julian’s. What we know: Tim Burton is directing the upcoming remake of 1941 animated classic Dumbo, bringing his trademark visual flair and idiosyncratic storytelling to the fore. One thing’s certain — you’ll have seen just about everything when you see this elephant fly. Meanwhile, the remaining Avengers – Thor, Black Widow, Captain America and Bruce Banner – must figure out a way to bring back their vanquished allies for an epic showdown with Thanos, the evil demigod who decimated the planet and the universe. 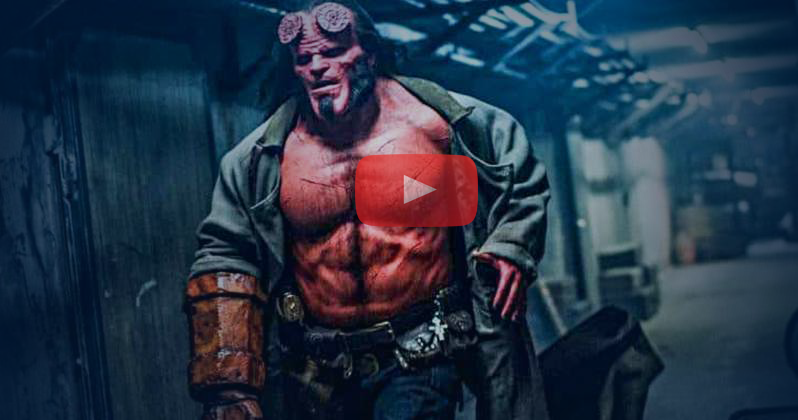 What we know: One of the most idiosyncratic superheroes, Hellboy, is back in cinemas in 2019. Stranger Things star David Harbour has beefed-up beyond belief in preparation for the role taking over the mantle from Ron Pearlman. What we know: The diamond in the rough is back in action in Aladdin, yet another Disney remake happening in 2019. Will Smith has the unenviable task of stepping into Robin Williams’ pointy slippers as the Genie. 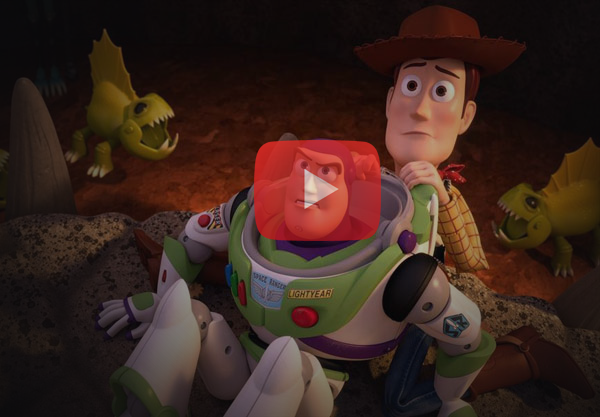 What we know: The Toy Story franchise is reaching infinity and beyond in 2019, welcoming Buzz, Woody and the gang back one last time. Bring the tissues kids (and mum and dad), it’s going to get emotional. What we know: Quentin Tarantino is teaming up with Brad Pitt and Leonardo Di Caprio for one of the most hotly-anticipated films of the year, in this crime drama based around the Manson Family murders. What we know: Jon Favreau is back in the director’s seat for the Lion King, after leading Disney’s 2016 Jungle Book reboot. Beyonce and Donald Glover lead a steller voice cast, while Funny or Die’s Billy Eichner and Seth Rogen voice the duo Timon and Pumba. 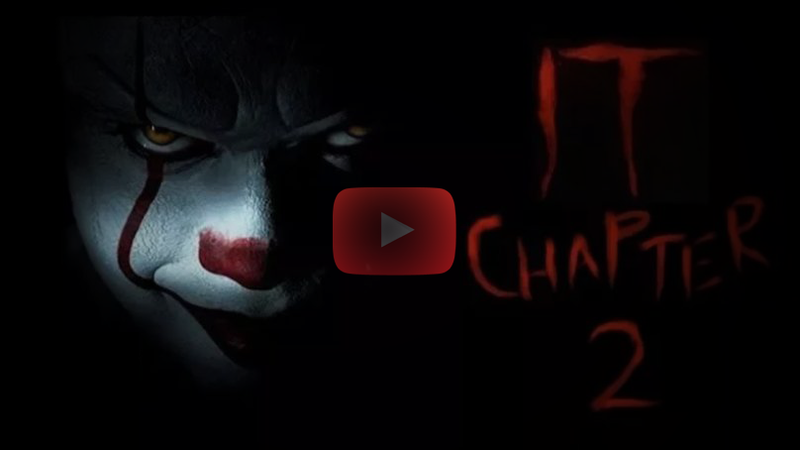 What we know: Pennywise returns to haunt the citizens of Derry, 27 years after the events of hit 2017 horror It. Jessica Chastain leads an impressive cast, which also includes James McAvoy, Bill Hader and the returning Bill Skarsgard. 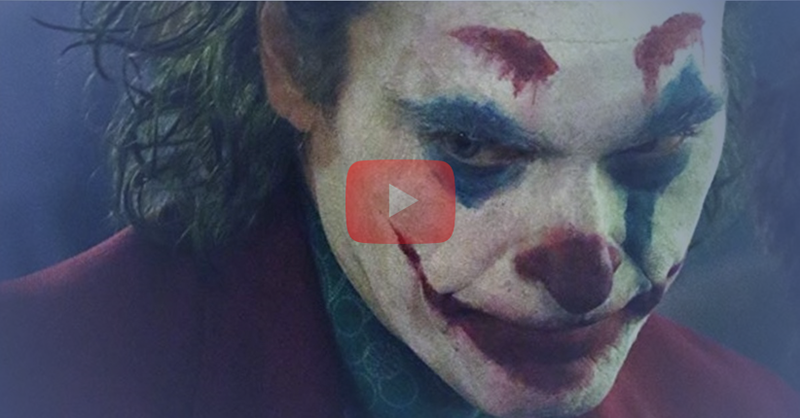 What we know: Joaquin Phoenix is taking on the role of Batman’s greatest adversary in this upcoming origin story from director Todd Phillips – marking the first big screen portrayal of the character since Heath Ledger’s performance in 2008’s The Dark Knight. What we know: The biggest Disney film of recent times is getting a long-awaited sequel in 2019, with Frozen 2 arriving in the Winter. Expect more winter wonderment, empowering female leads in the form of sisters Anna and Elsa, as well as more anthems on the soundtrack. 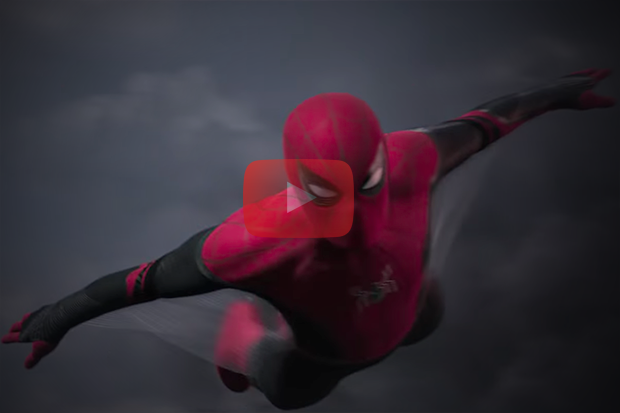 What we know: Spider-Man is swinging into the Eden Cinemas in 2019, with Tom Holland continuing his excellent run in the title role. The film sees Parker and his pals head out on a European vacation. The first trailer for Frozen 2 has been released, giving us a glimpse of the much-awaited movie sequel. In a brief video posted online, key characters are shown returning for the second film, including Elsa, Anna and Olaf. The new film is expected to be a sure fire hit for Disney. The original marked the movie studio’s biggest film of recent times back in 2013, taking more than $1.2 billion at the worldwide box office. 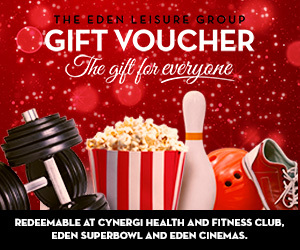 The upcoming sequel is already expected to be one of the most popular films of 2019 at the Eden Cinemas in St Julian’s. Frozen 2 is expected to be released in November. Fans have been treated to a first look at Will Smith’s debut as the blue Genie in the upcoming live action remake of Aladdin. 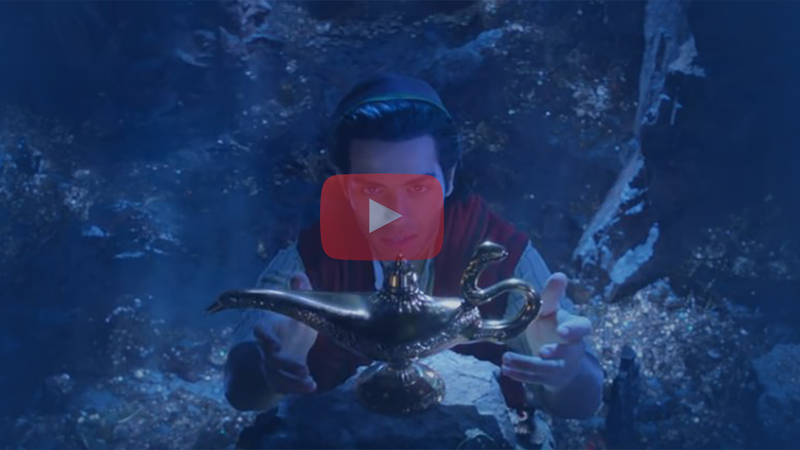 Disney unveiled the latest trailer for their new film during Sunday night’s Grammy Awards. It shows Smith in character complete with blue skin and black goatee beard. Aladdin also stars Naomi Scott as Princess Jasmine, Mena Massoud as Aladdin and Marwan Kenzari as vizier Jafar. It’s the second Disney live-action remake this year, with Dumbo set for a April release. Fans can also look forward to The Lion King this summer. Aladdin is expected to be released this May at Eden Cinemas.